The last few weeks has seen a marked increase in press coverage for Perplex City, most notably from sources outside the U.S. and England. PC is doing exceptionally well at gaining the attention of news sources around the world, furthering the visibility of Alternate Reality Games as a whole. Just since the beginning of March, major articles have appeared at CNET (which was syndicated all over the place), Agent Portál (Hungary), La Voz de Galicia (Spain), the Contra Costa Times, and the Libération (France). This international coverage makes sense, as Alternate Reality Games are one of the few things that can truly be played by a worldwide audience. For a comprehensive listing of major ARG press coverage over the past few years, see our Press Page. It was also noted that multiple film crews showed up at Abbey Road Studios this morning, presumably to catch what was going on with the Perplex City event. 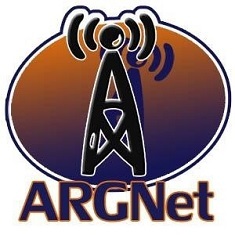 Couple that with the numerous recent interviews with members of the ARG community, and you can expect to see even more coverage in the coming weeks. Meanwhile, Perplex City is proving itself to be the Game To Watch. If you’re new to the genre, we highly recommend it as the one to get involved with. While you may have to wait a few more days for things to really get going, we have a feeling it will definitely be worth the wait.